Canadian Thanksgiving is just around the corner! Thanksgiving is about family, food and of course, a pretty table! I love the idea of simple, thoughtful decorations, and if you put some time and effort into a pretty place setting including something creative for the place card holders and chargers, you are set! I loved this idea at the Vitala Foods Longtable Dinner that Laurel and I were invited to (see it here) to celebrate the launch of their blog. 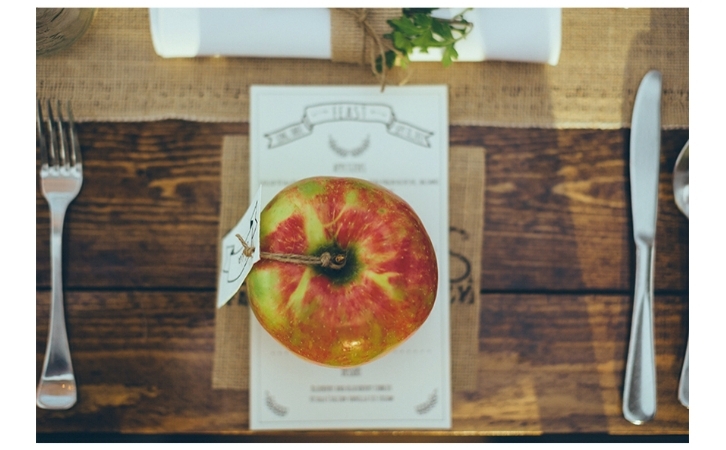 They used seriously large apples and made vintage-y looking name tags and tied them on with twine!! 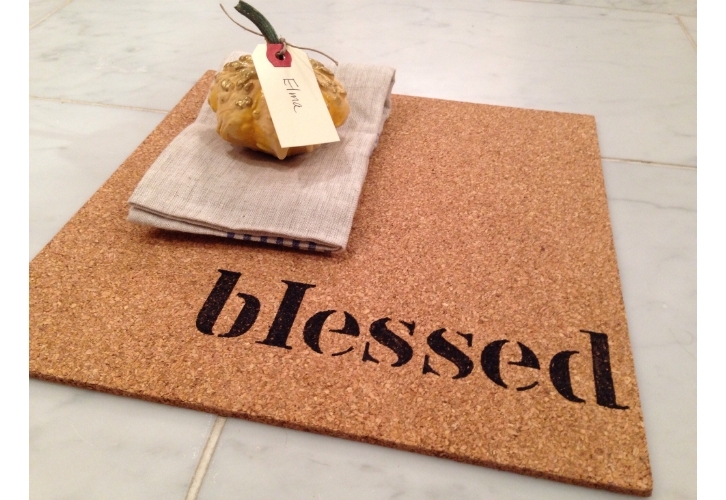 A piece of burlap stamped with their blog logo ROOTS, and a menu in the same vintage type font was placed underneath. Rustic and simple….I love this look! 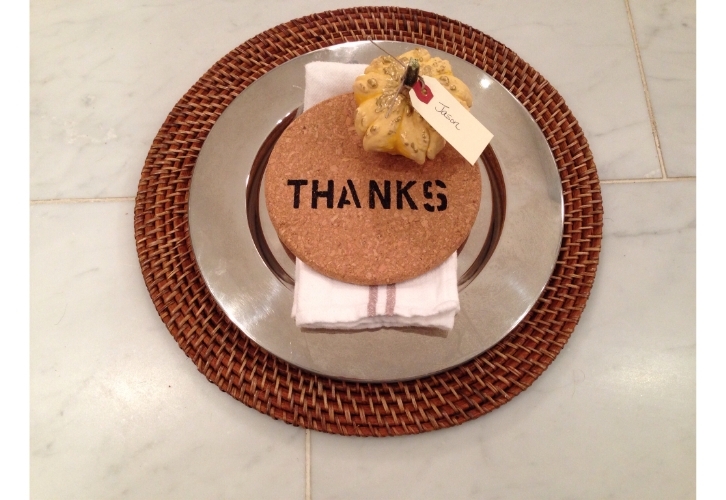 So, I’m am NOT a DIY’er, but I was thinking of how I could incorporate some of these ideas into my Thanksgiving table. I’ll be honest, I really hate (I know that’s a strong word!) 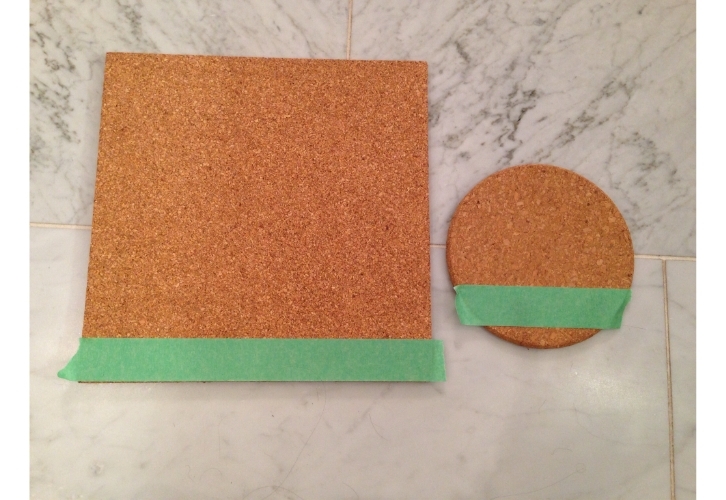 crafting. 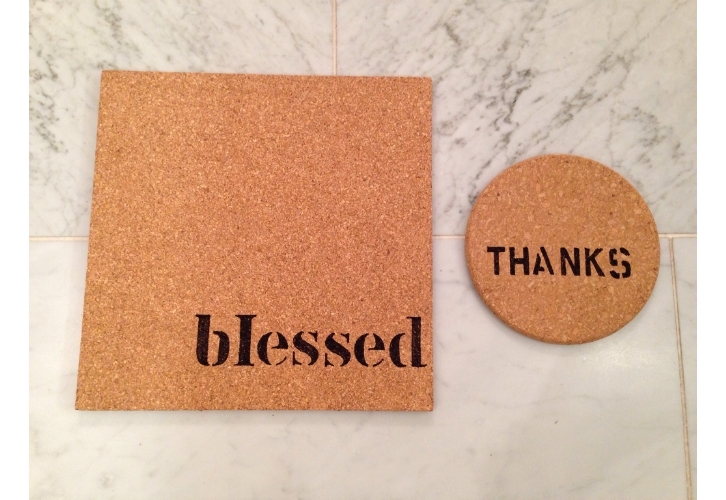 In fact, all day yesterday, I was dreading going home to get my craft on….but I did have a bit of a brain wave and this is a super simple idea…cork rounds or squares with words stenciled on them like “Thankful”, “Blessed”, “Gather”, “Together”, or “Feast”. So, it’s VERY easy!! Put the line of tape where you are going to stencil the word. Use a sharpie. Don’t color it in perfectly…I like the rustic look. Wash and dry gourds. I quickly added a bit of metallic gold paint with a sponge brush to the top part of the gourd, highlighting the “bumps”. 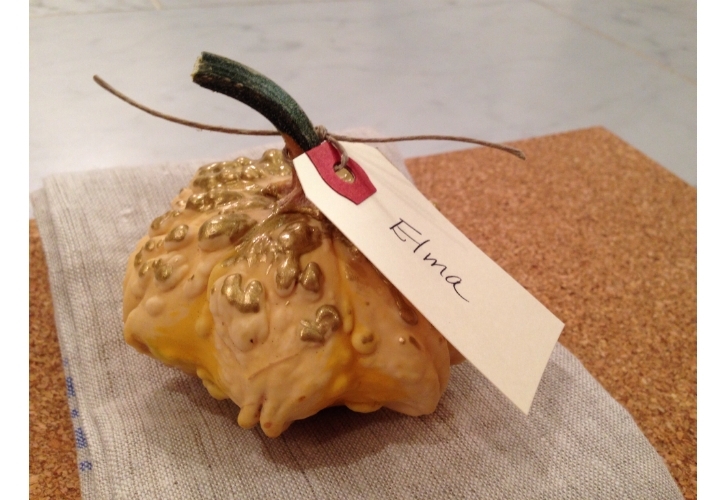 Use shipping labels for place cards and tie them to the gourds with the hemp twine. That’s it! !